Tesla has been refreshing its Model S since the launch of the Model X, starting by the exterior with the new nose and headlights, and the interior with Autopilot, Premium Upgrade Package including Bioweapon Defense Mode, Smart Air Suspension, Subzero Weather Package and Ultra High Fidelity Sound. 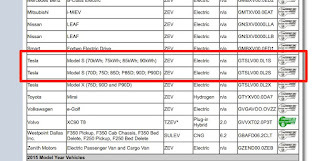 However there was speculations whether Tesla will get the Model S battery options in line with those from the Model X. 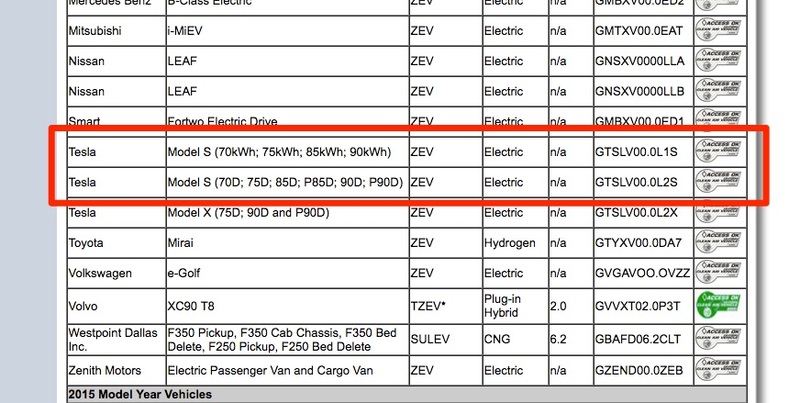 Today, The California Air Resource Board (CARB) updated its list of qualifying vehicles for Clean Air Vehicles Decals to include a new type of Model S: the 75D. Furthermore, a Tesla spokesperson was able to confirm to electrek.co that the Model S will indeed get the 75kWh capacity. That will harmonize the two Models' battery options and simplify the production process. The increase in battery capacity will have the Model S AWD range up from 240 to 256 miles. Elon Musk stated 10 months ago that "“On average, we expect to increase pack capacity by roughly 5% per year". Last week, Tesla posted on Facebook an image of an older Model S with "💯" behind it sprayed on the wall, which led to rumours that the 100kWh battery option will be coming soon. 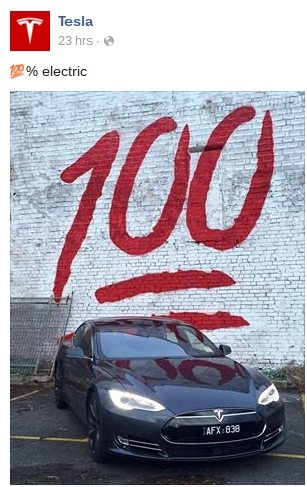 Alas this was quickly rectified by them as they were only meant to state that their car is "100% electric". 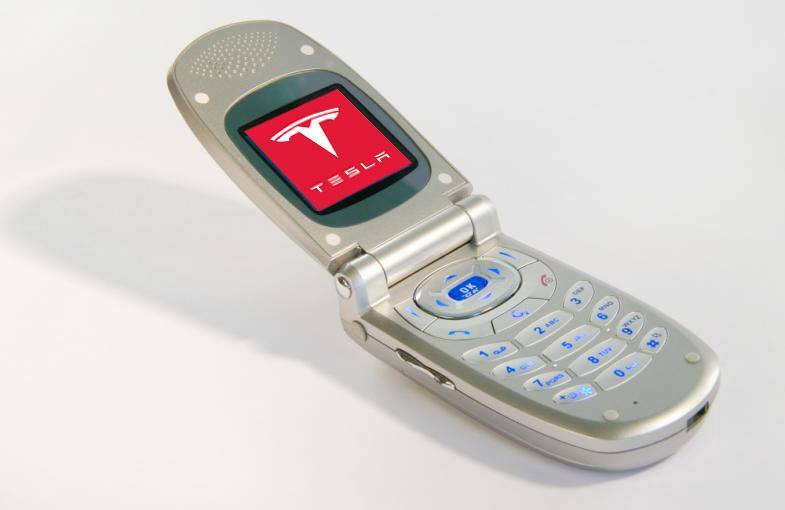 Current Model S owners might feel their car is already outdated.